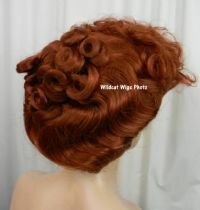 Lucy Wig .. Gibson Girl Style .. Lucille Ball .. Lucy Wig .. Gibson Girl Style .. Lucille Ball ..
Lucy Wig .. Gibson Girl Style .. Lucille Ball .. Very cool Lucy Wig .. 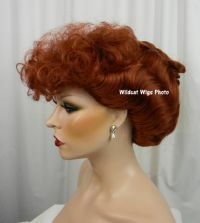 The top/front of this wig will need to be picked with an afro style pick when you receive it. This has a stretchy honeycomb style cap and comes in the color pictured .. 130 - Fox Red.